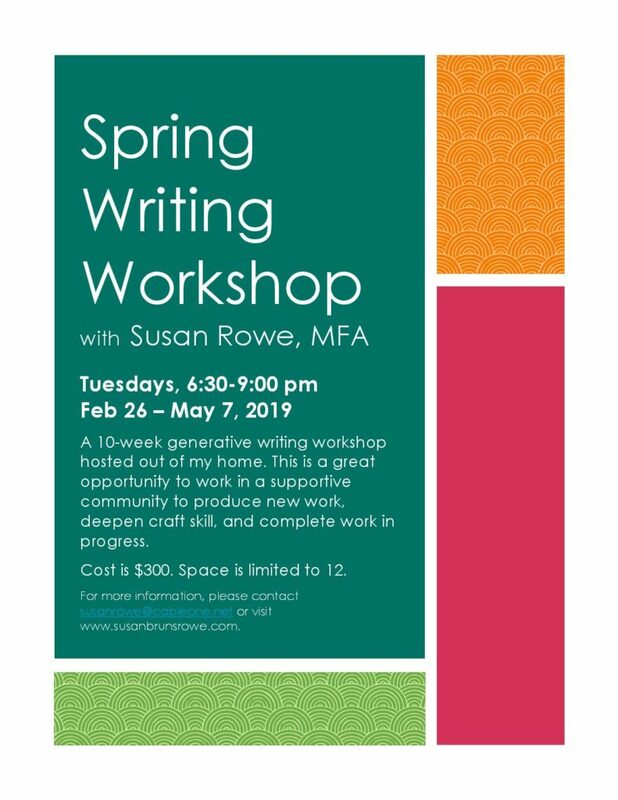 Susan is offering a 10-week generative writing workshop on Tuesday nights this spring, beginning February 26. We’ll meet from 6:30 to 9:00 pm and write to timed prompts, share work, and delve deeply into lessons on writing craft. There will also be opportunities for participants to workshop finished manuscripts. Cost is $300 in advance or $120 per month. Please contact Susan at susanrowe@cableone.net or use the contact form for more information. Space is limited to 12 participants. Hope you’ll join us!